Ringwood School joined the global Safer Internet Day campaign to promote the safe and responsible use of technology. Coordinated in the UK by the UK Safer Internet Centre, Safer Internet Day took place on Tuesday 7 February 2017 with the theme ‘Be the change: Unite for a better internet’. Celebrated in over 100 countries, Safer Internet Day saw Ringwood School join hundreds of organisations right across the UK and globally to ‘be the change’ and help create a better internet. To celebrate, Ringwood School has held daily assemblies throughout the week with over 1,000 students and staff getting involved. Ringwood School was part of a nationwide day of action involving the #SID2017 social media campaign and youth events where young people had the opportunity to have their say about the digital issues that affect them. 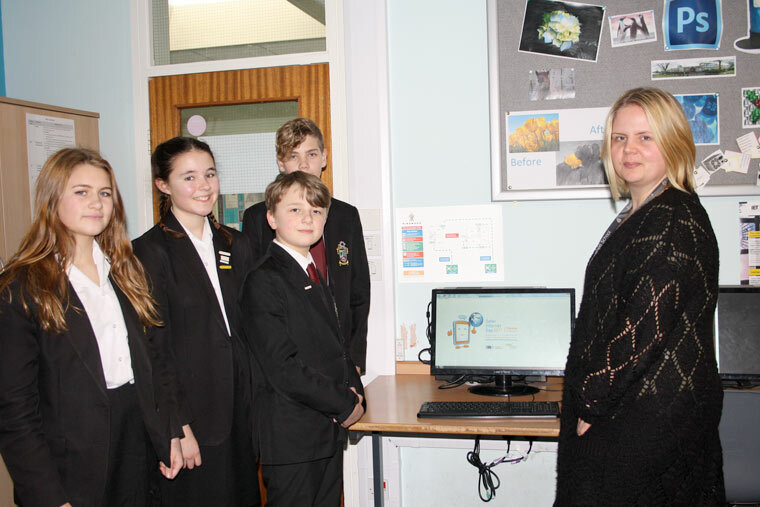 Clare Adams, Deputy Headteacher and ICT Teacher at Ringwood School comments, “Being involved with Safer Internet Day is really important for Ringwood School, especially when educating young people about how they portray themselves online. Being safe online and thinking of others when posting information is essential if we are to ensure the Internet is a safe place for everyone”. You can find out more about the campaign at www.saferinternetday.org.uk.